Suction vase are products that can be easily adapted to any situation. This product range has made life easier for the end consumer due to the addition of the hook. When we look at suction based products, we have faced situations at one point or another where the product has failed to deliver. This is due to products that are of poor quality and have very low adsorption rates. However there are companies out there that deliver high end quality products at all time. KingFar as a company knew that product range plays an important role in the market place. 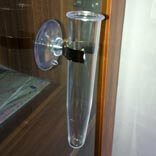 The company has turned the market on its head through innovative use of simple products like small suction hooks. The company has brought features like high performance in all temperature conditions, better load bearing capacity and even high adsorption rate. These products introduced by KingFar are extremely versatile and can be resistant to fire under all circumstances. 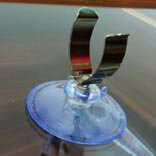 The company has created new products like holders for flowers, refreshments and even miniature hoardings. Can hold flowers with ease and zero dripping. Can be attached to any surface even mirrors and refrigerators. Provides a three Dimensional effect once water is added. No spillage of any kind. You need our Wall Flower Hanging Bud Vase. No more will you have to worry about space on your counters, tables, armoires… just mount our acrylic and glass Wall Flower Hanging Bud Vase on your wall, add water and a flower or two, then just stand back and admire how awesomely creative you are. Display one vase for a perfect wall accent or display multiple vases for a beautiful artistic wall garden. Our Wall Flower Hanging Bud Vase measures 5”L x 2.5”W and adhere to most windows, sliding doors, mirrors, refrigerators, and most smooth surfaces. The floral Illusion is a unique little bud vase that stands just four inches tall. It owes its “magic” to a clear suction cup that allows it to float on any hard, flat surface. 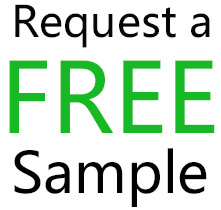 Use it on mirrors, windows, sliding doors, the refrigerator, car dashboards and more. These delightful floral touches brighten any location in your home office or vehicle. It makes a great gift for mom, grandma, teacher, your best friend and more. Anyone who likes flowers will love the floral illusion. Add some color even when space is limited. This attractive little vase will enhance the look of any space. Have someone living in a retirement home where space is limited? Try this little gift to add some cheer. Each time you visit refresh with a flower and a little green from your garden. Suction Cup KF-VS05 can be used to hold any type of flower. It provides a solution that is non messy and extremely efficient. The product is made of clear acrylic. This allows for easy maintenance and most importantly adds an effect that is unmatchable. We are referring to the 3D effect of the flower bulb floating. The product is simple to use and can be attached to any smooth surface like mirrors, windows and even refrigerators.